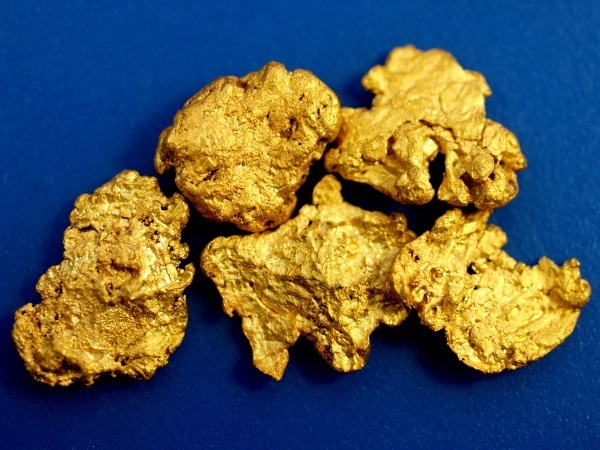 This collection of 5 gold nuggets was found this winter by a gold prospector in Mojave County, Arizona. These were all found with a metal detector and have great character. They will look great in your collection. Their combined weight is 4.74 grams.